One of the biggest lessons I’ve learned from changing my diet is when you close a door on one food, there’s a window that opens. And it’s a chance to experiment, be creative and discover something new. Four years ago I started on this journey of healing my body naturally and along the way have had to give up many of the foods I love. I can attest, eliminating foods you enjoy and rely on from your diet is hard. And it’s easy to get stuck staring at that closed door, focusing on what you can’t have. But, I’ve learned if you can break away, there’s a whole world of foods out there to play with, and you just might find something even more interesting and delicious to love. Cauliflower, and really all cruciferous vegetables (broccoli, cabbage, kale, etc. ), help our bodies detox. There are specific phytonutrients in crucifers that activate enzymes which work to get rid of harmful toxins. That’s why cruciferous vegetables are so often hailed as cancer fighters. One more thing… cauliflower in particular is a solid source of of choline, a B vitamin known for its role in… can you guess? I’ll give you a hint… it’s in the head (see what I did there?). Brain health! We call it a “head,” it sorta looks like a “brain”… Gotta hand it to Mother Nature, she sure knows how to keep it interesting. Preheat oven to 400 degrees. 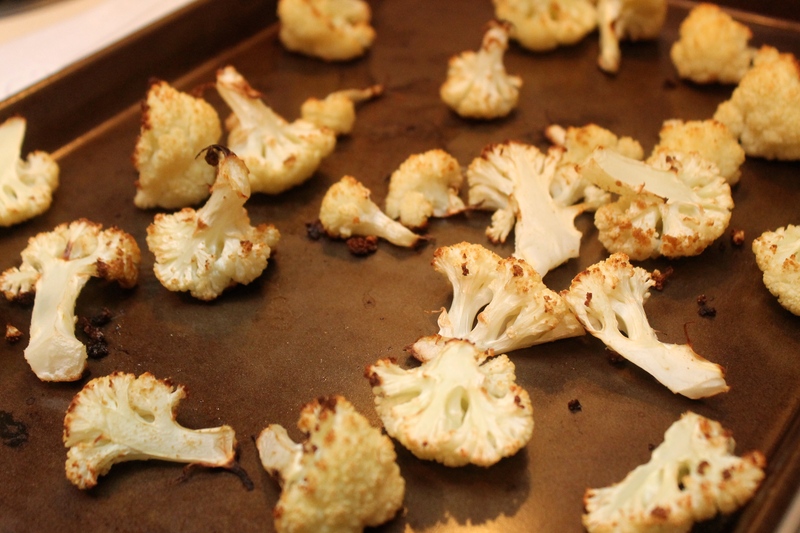 Toss cauliflower florets with coconut oil and cumin. Spread on baking sheet and roast 30-40 minutes, until browned. Remove from oven and cool. 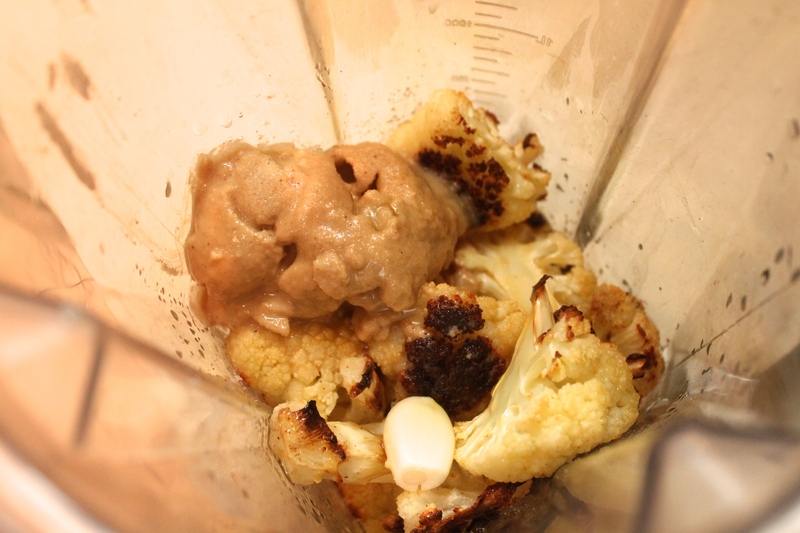 In food processor or blender, combine cauliflower, garlic, tahini, lemon juice, olive oil and salt and pepper in food processor. Process until smooth. Add water if needed to get to desired consistency. Add more to thin. This is such a great idea!!! I have to try asap. 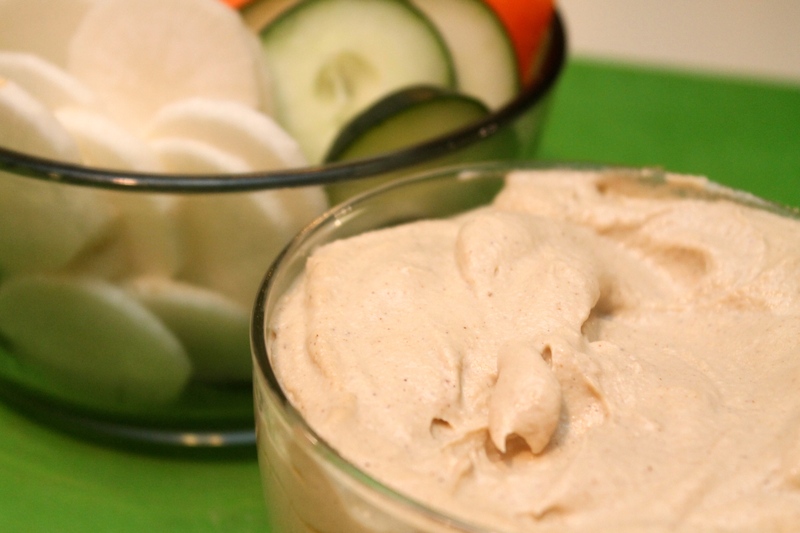 This looks so divine, I love all the things that are creamy and in general love dips as they go so well with fresh vegetables. What a great dip! I am going to make it. Thank you! I’m on a pretty restricted diet still, and this recipe looks like something I might actually be able to make. A rare thing for me!